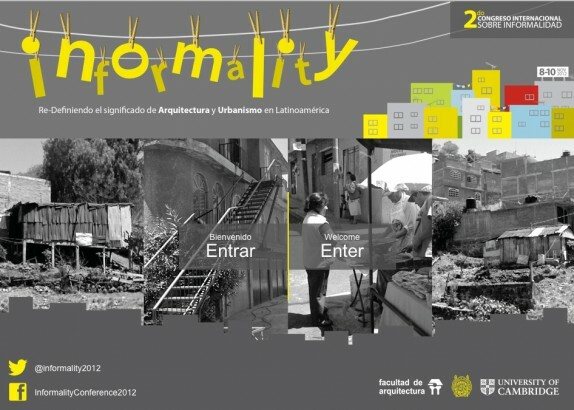 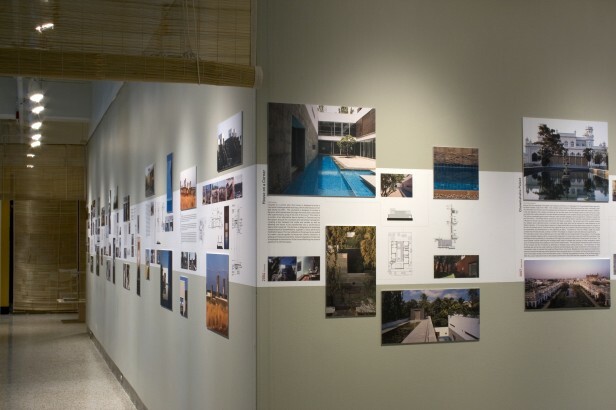 RMA Research contributed a research project with text and an installation for this exhibition on the architectural issues surrounding food. 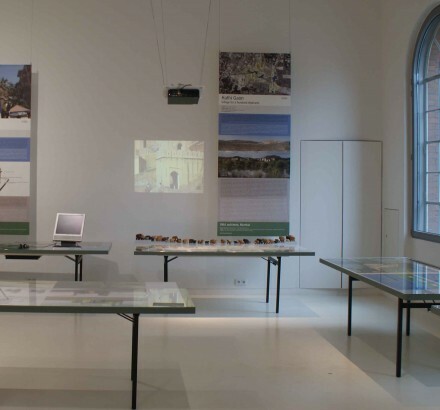 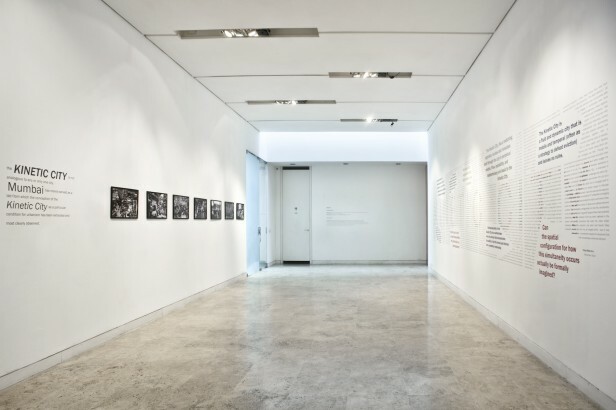 Presented by the MAXXI museum in Rome, the exhibition is curated by Pippo Ciorra together with Giulia Ferracci, Alessio Rosati and Alessandra Spagnoli. 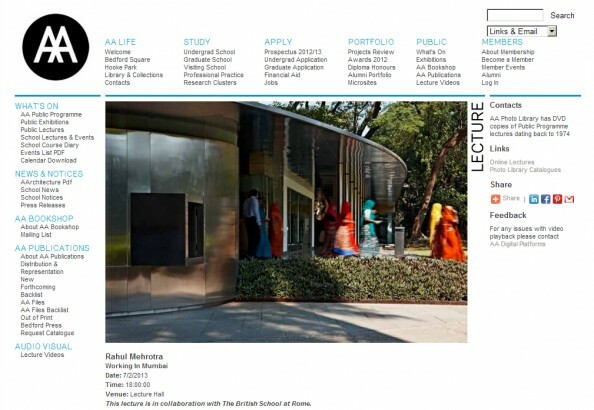 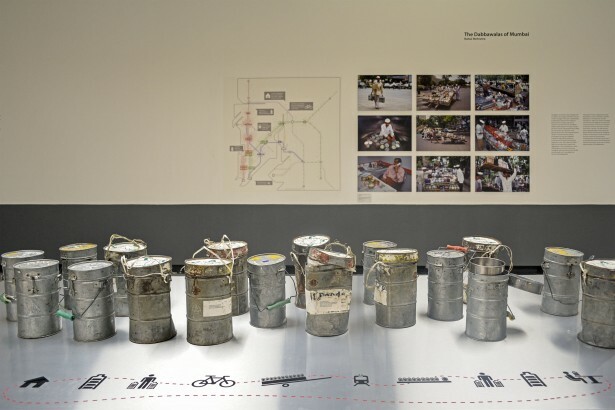 RMA’s research project is titled, ‘The Dabbawallas of Mumbai’. 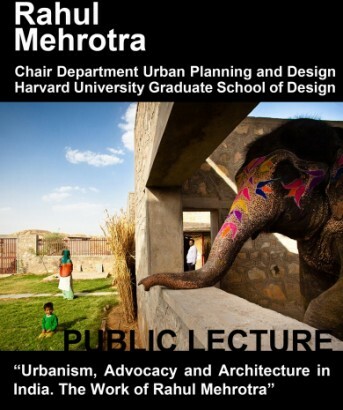 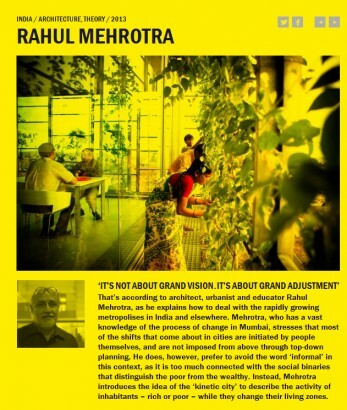 Rahul Mehrotra will be speaking at the What Design Can Do conference in Amsterdam on May 17. 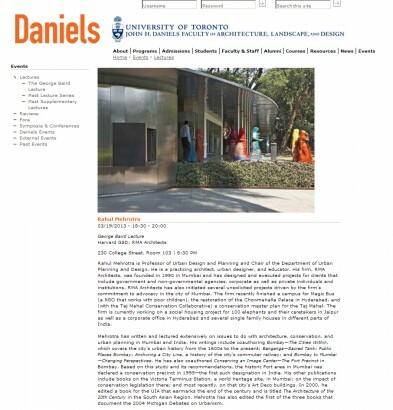 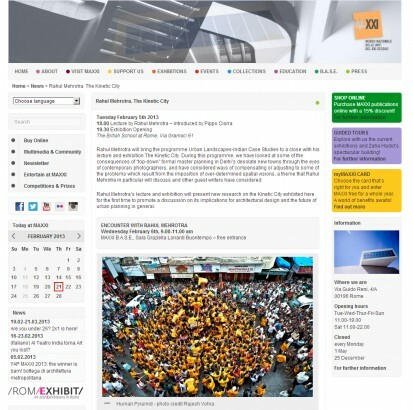 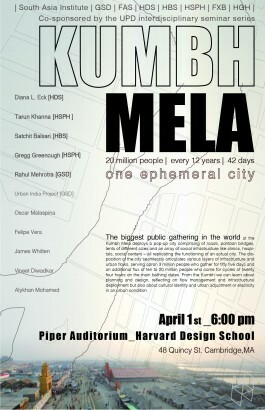 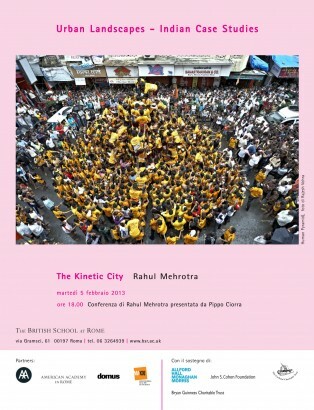 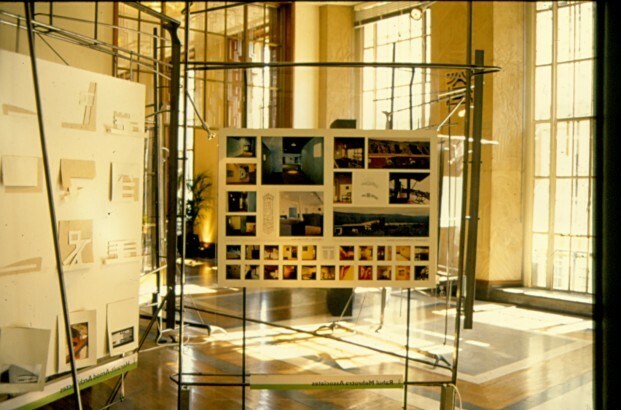 Rahul will deliver a lecture in Rome, Italy on Monday, February 5, 2013 to launch the ‘Kinetic City’ Exhibition at the British School at Rome. 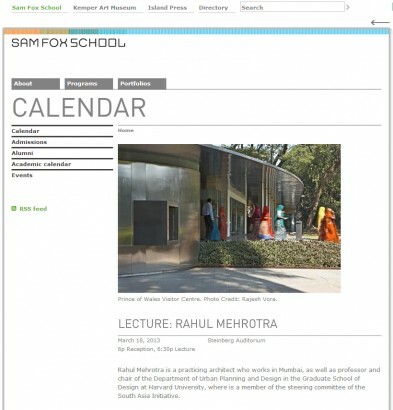 Rahul will be speaking at the ETH Zürich this Monday at 3:45pm as part of the ‘Urban Mutations on the Edge’ Lecture series. 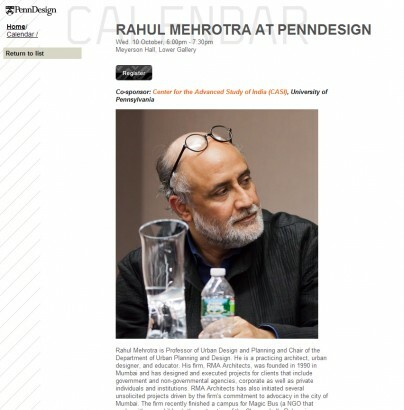 Rahul will speak at the University of Pennsylvania on Wednesday 10 October at 6pm. 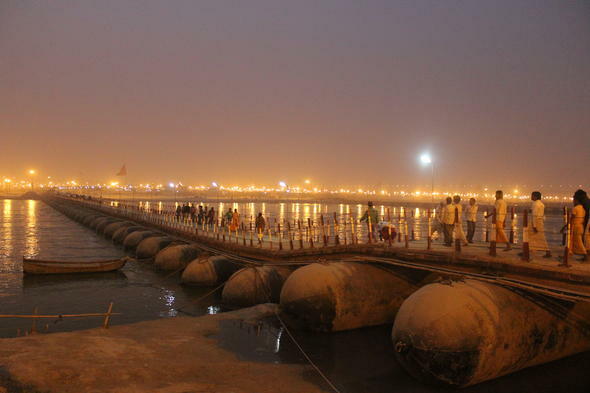 2011 – Water – Curse or Blessing? 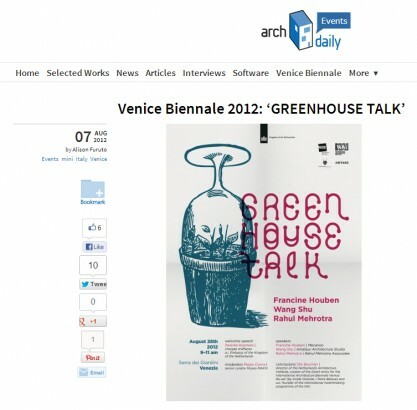 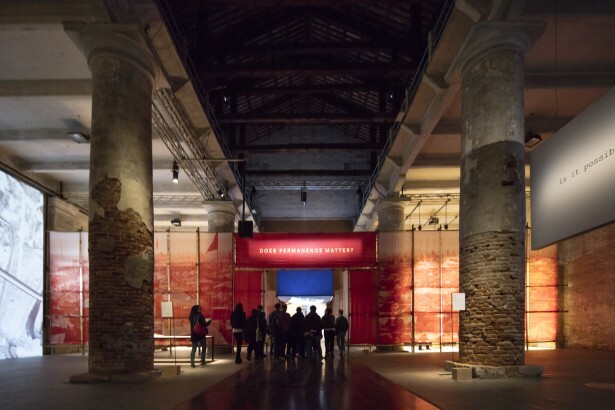 Rahul Mehrotra along with Wang Shu and Francine Houben talks in the GREEN HOUSE TALK‘, on 28 August from 9am to 11am in the Serra dei Giardini, Venice. 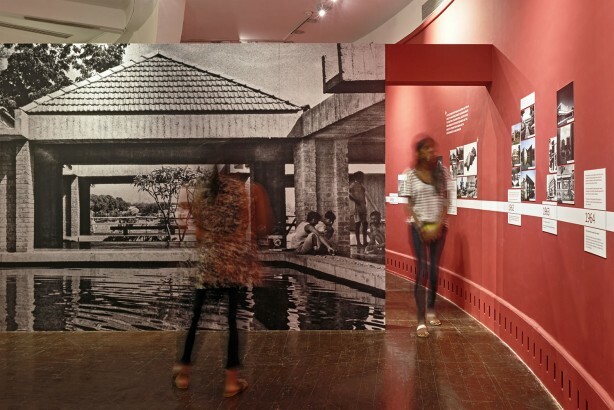 An installation on interpretations of the Kala Ghoda Art District at Chemould Art Gallery in Mumbai. 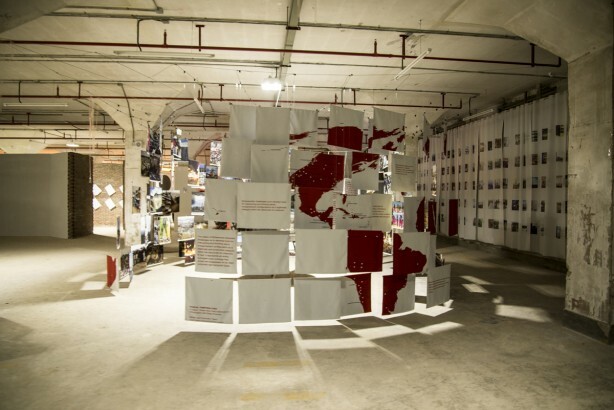 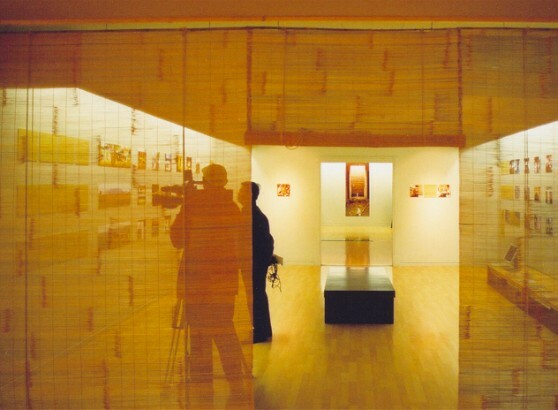 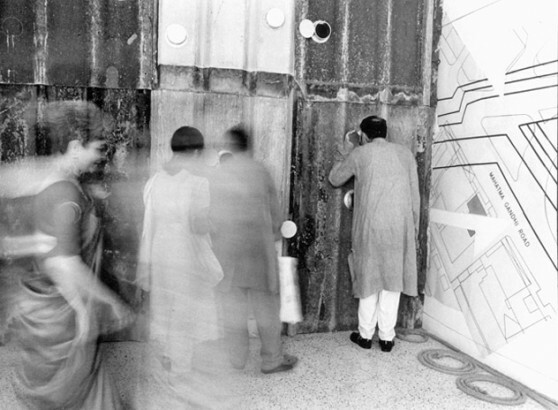 Installation designed in collaboration with artist Atul Dodiya.